The oil in your vehicle keeps very important parts of your engine lubricated so they can perform. Without the proper motor oil the pistons would grind against the cylinders of your engine generating enough heat to weld the parts together or cause them to corrode. 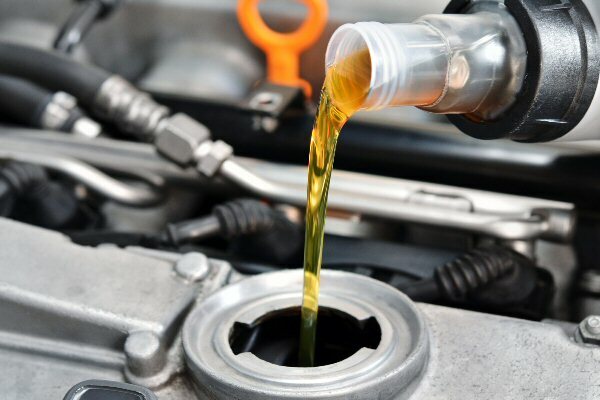 Sure signs that you need an oil change are; you can’t remember the last time you had the oil changed, the oil is thick and dark in color, when you check the dipstick the oil level is low, the engine is louder than normal or making grinding noises and the oil light is on in your vehicle. Keeping your oil changed on a regualr basis will help to ensure your engine performs well and avoids costly repairs later on. Your engines moving parts need to receive proper lubrication, we can let you know how often your vehicle needs to have the oil changed per manufacturer’s specifications and that the correct oil type is being used depending on your vehicle and the season.